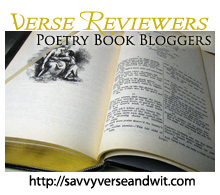 Welcome to the 254th Virtual Poetry Circle! The Song Remains the Same by Allison Winn Scotch will be published on April 12, and she’s become a favorite author of some wonderful bloggers I know. Don’t you just love this vibrant cover! While I’d already dedicated the entire month of April on the blog to poetry, I had to decline reviewing her prose, which is raved about. However, I was happy to hear that she would love to write a guest post about her favorite poet. And we have a giveaway for my U.S. readers. One of only two survivors of a plane crash, Nell Slattery wakes in the hospital with no memory of the horrific experience-or who she is, or was. Now she must piece together both body and mind, with the help of family and friends, who have their own agendas. She filters through photos, art, music, and stories, hoping something will jog her memory, and soon, in tiny bits and pieces, Nell starts remembering. It isn’t long before she learns to question the stories presented by her mother, her sister and business partner, and her husband. In the end, she will discover that forgiving betrayals small and large will be the only true path to healing herself-and to finding happiness. Without further ado, please give Allison a warm welcome. When I’m asked to cite my favorite poet, I know that I should cite a heavyweight, a Whitman, a Frost, an E.E. Cummings. But here’s the truth, I can honestly say that I think that my favorite poet might actually be Shel Silverstein. Why? Because as a child, I fell in love with Silverstein’s words and books, and I’d like to think that he played a part in my love of writing and my love of reading. I think I was first introduced to Silverstein at around the age of seven or eight. I was obsessed – obsessed! – with Where the Sidewalk Ends. From the very opening poem – “The Dreamer”, a poem which, I should note, was the inspiration for the arc of a screenplay that I recently completed – to “Ickle Me, Pickle Me, Tickle Me Too” – to “Lazy Jane”– to “The Gypsies are Coming”, I was hooked. I read, and reread, and reread again, such that now, when I recently purchased the book for my own seven year-old, I could still cite many of these poems by heart, like an old friend, like an old comfort. Honestly, there are few things that remind me of the total innocence of childhood more than Shel Silverstein. If you haven’t picked up one of his books recently, I highly recommend that you do so again. You can be eight or thirty-eight or fifty-eight, and I bet you’ll love them just as much as ever. Thanks, Allison. Shel Silverstein is one of my favorites as well, and “Wiggles” is going to get to know the joys of his books as well. Now, I wonder how she feels about Dr. Seuss. She is the bestselling author of The One That I Want, Time of My Life, and The Department of Lost and Found. Her fourth novel, The Song Remains the Same, will be released in early 2012. 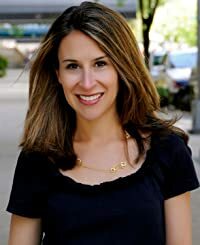 Prior to delving into fiction, she was a frequent contributor to numerous magazines and websites including Cooking Light, Men’s Health, Fitness, Glamour, and Redbook, and now focuses on celebrity profiles for a variety of magazines. She lives in New York with her family. For more about her and her books, go to allisonwinn.com or follow her on Twitter at @aswinn. 1. Leave a comment naming your favorite poet. 2. 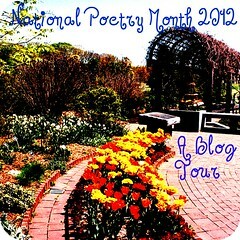 Spread the word via Twitter, Facebook, and/or your blog and leave links for up to three more entries. Deadline is April 15, 2012.